At All Done heating and cooling, we provide our local community with emergency heating repair in New Jersey. Here in NJ, winter temperatures can regularly get down below twenty degrees, so it’s important for local homes and businesses to have a working central heating system. We have staff available 24/7 for emergency heating system repair, whether you’re an individual homeowner or a business owner with a heavy-duty commercial heating system. For fast, reliable emergency heat repair, call us today at All Done HVAC. If your heater stops working in the middle of a cold Saturday night in January, you’ll never have to wait until Monday for effective professional heating repairs. At All Done HVAC, we offer comprehensive residential heating repair service for New Jersey homeowners. In the frigid winter climate, going without heat is not only uncomfortable, but can become a risk to your health and safety. That’s why at All Done HVAC, we have staff on call at all times, including nights and weekends, to take care of all your home heating repair needs. 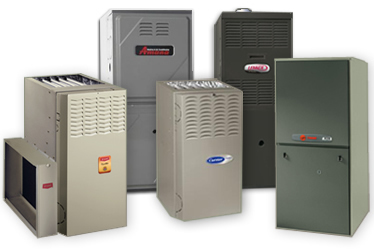 We routinely work with dozens of trusted furnace and boiler brands, including Trane, Carrier, Rheem, and more. For reliable emergency heating repairs, call us at All Done HVAC as soon as you notice a problem. At All Done HVAC, we provide emergency commercial heating repairs in New Jersey. As a busy business owner or manager in New Jersey, the last thing you want to deal with is a malfunctioning heater. At All Done HVAC, we have staff available at any time. When you call us, we’ll have a certified, experienced HVAC technician at your door almost immediately. Our staff has years of combined experience performing emergency heating system repair for commercial heaters, and we can quickly figure out the problem and use the appropriate tools and techniques to fix the problem for you. For fast, effective emergency heating system repair in New Jersey, call us today at All Done HVAC. With both residential and commercial service, we’re available 24/7 to help you with all your heating repair needs. Call now at 201-540-0977.